The piece clearly stretched the orchestra, the violins opened the last movement with a passage in harmonics and the trumpet parts lie very high. But the orchestra responded magnificently, and under Newton's persuasive direction really brought the work to life, filling its symbolic structures with heart and emotion. The final work on the programme was Dvorak's Symphony no. 8 written in 1889 and representing a return to more Czech themed material after the highly Brahmsian sixth and seventh symphonies. In many ways, the work is Dvorak at his most imaginative. The opening movement showed the cellos off to fine effect in the stirring motto theme, which returned on trumpets at the turbulent hight of the development. The slow movement showed off some fine solos from leader Tara Persaud and the flutes. The movement demonstrated Dvorak's skill at creating bewitching multi-layered textures with each layer a fascinating musical ideal in itself. (Something which makes his 1900 opera Rusalka rather special). The third movement sounds like a waltz but is in fact a Czech triple time dance. The Salomon Orchestra perform it with a stylish and infectious swing. Finally the last movement showcased the cellos again, highly suave here. Robin Newton, conducting the symphony from memory, drew a fine grained and beautifully controlled performance from the orchestra, but one which was full of the sprung rhythms of Dvorak's Czech roots too. 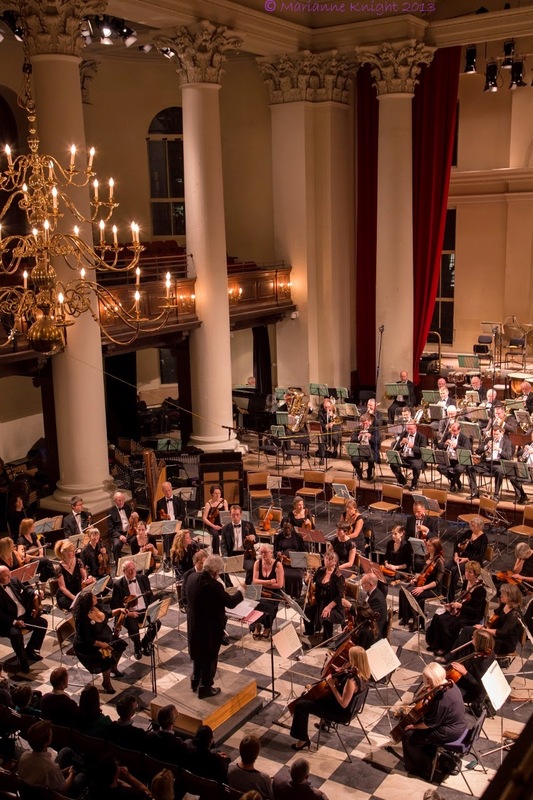 The orchestra continues in Czech mode for its autumn concert when Philip Hesketh conducts them in Dvorak's Cello Concerto (with Guy Johnston) and Suk's Asrael Symphony at St John's Smith Square on 14 October 2014.